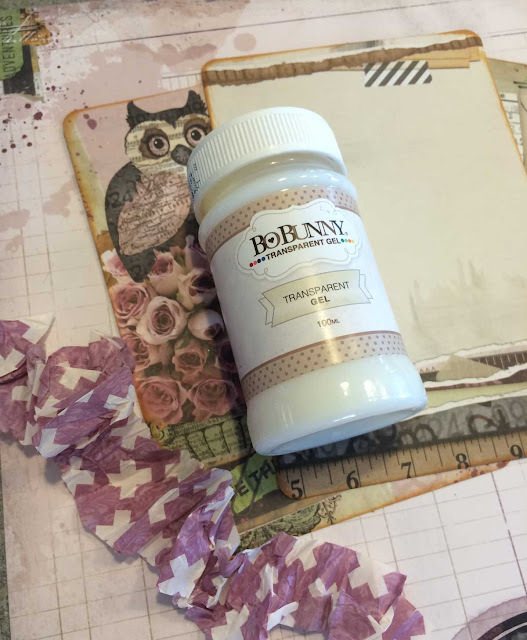 The BoBunny Blog: Transparent Gel On A Fun & Lovely Layout! Transparent Gel On A Fun & Lovely Layout! Good Morning! How is everyone's day going? Today I'm going to share a little tutorial using the new BoBunny Transparent Gel. What an amazing product! So I will chat as I go.. Are you ready? 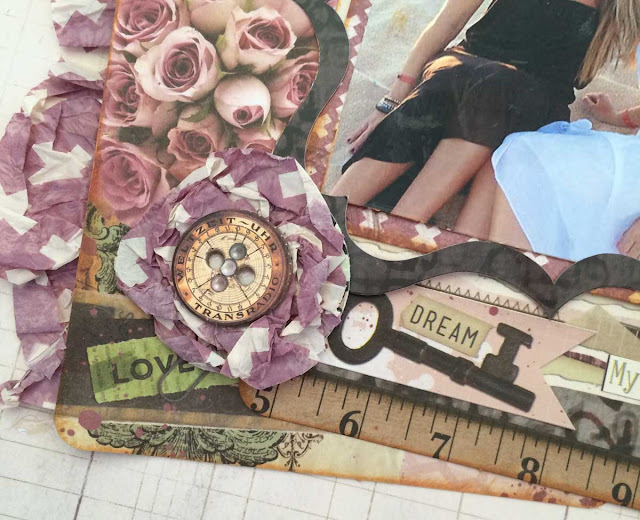 I chose the Beautiful Dreamer Collection to work with on this layout. Since I laid eyes on the 12x12 Bicycle Patterned Paper I knew I just had to do a layout with it. 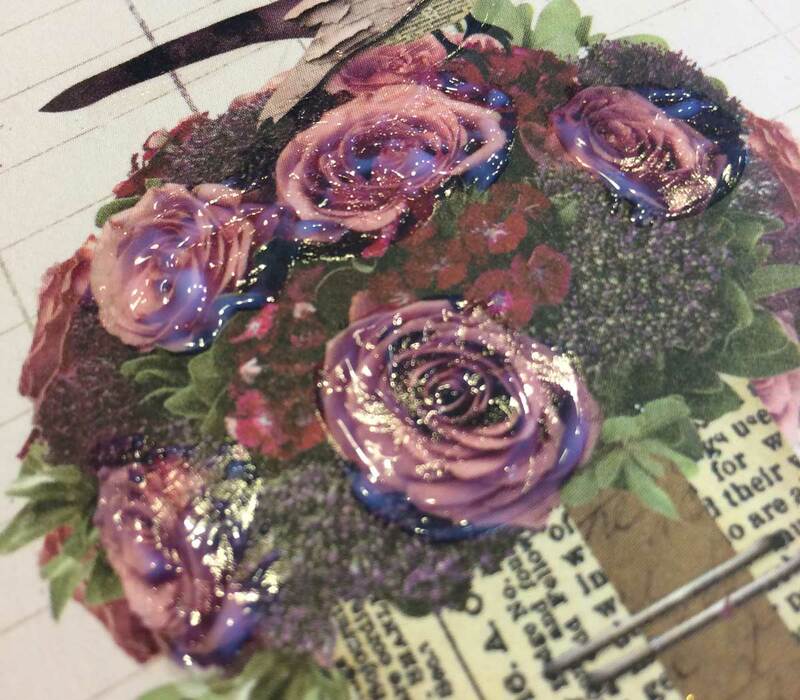 The collection also has decoupage paper, so I had an idea I wanted to try. It was my first time working with the Transparent Gel, and let me tell you... I think it's the best adhesive I have ever used! And.. it's just not for gluing as you will see later in the tutorial. 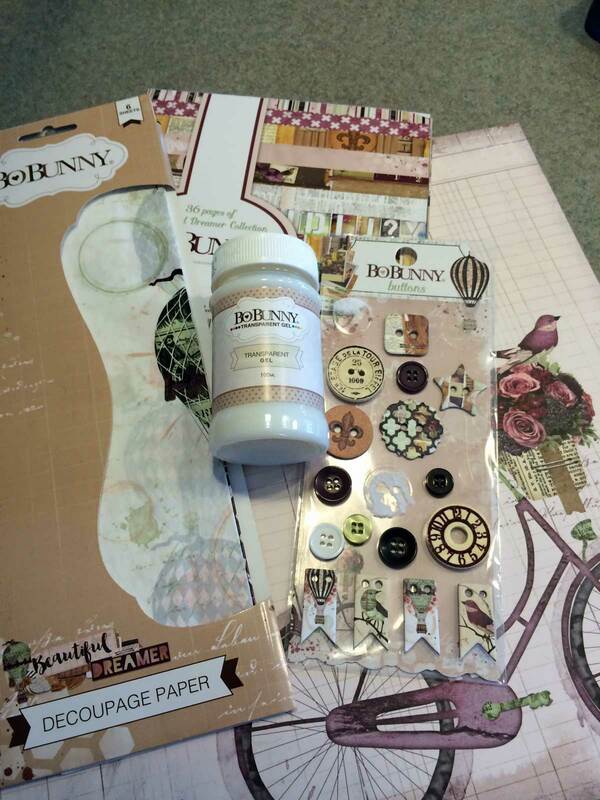 Decoupage Paper, Buttons,Transparent Gel and the 6x6 paper pad were the first supplies I grabbed! 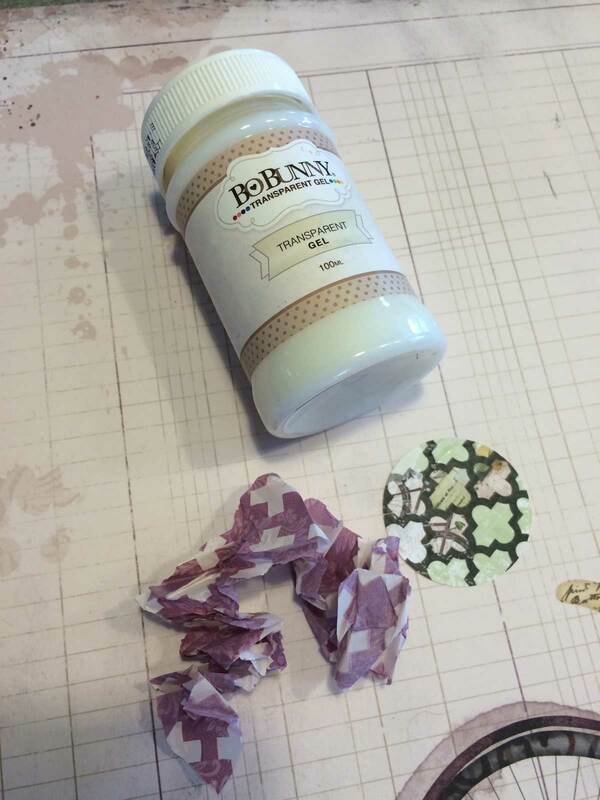 I cut strips from the Decoupage Paper and just rolled them into a ball with my fingers. Next I cut a circle with my punch from one of the sheets from the 6x6 paper pad. 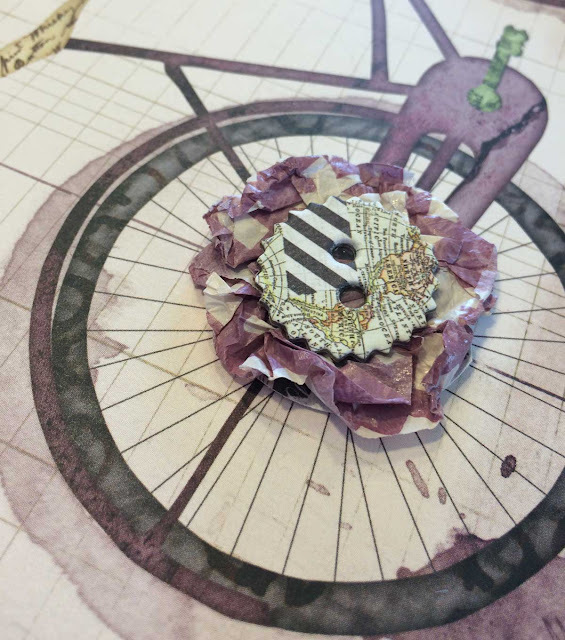 I covered the circle with the Transparent Gel and then just laid the Decoupage Paper over it in a circle, going round and round adding little bits of the gel. 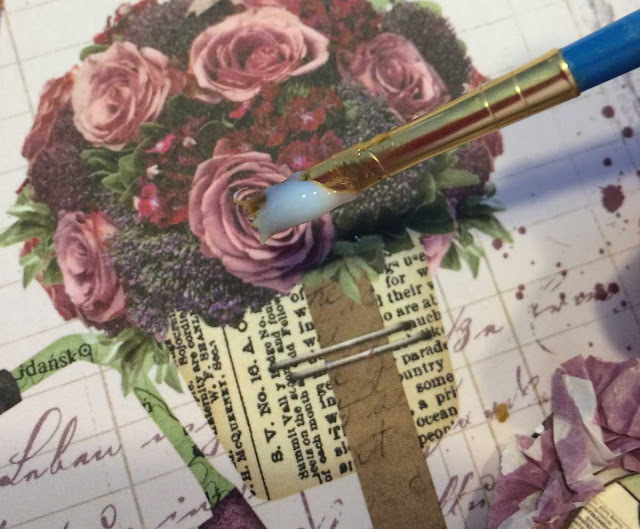 When I was done I used the Transparent Gel to glue down the buttons on the shabby flowers I had made. Once they were dried, which didn't take long at all.. those buttons were not coming off!! I just had to give them a good tug to test my theory! 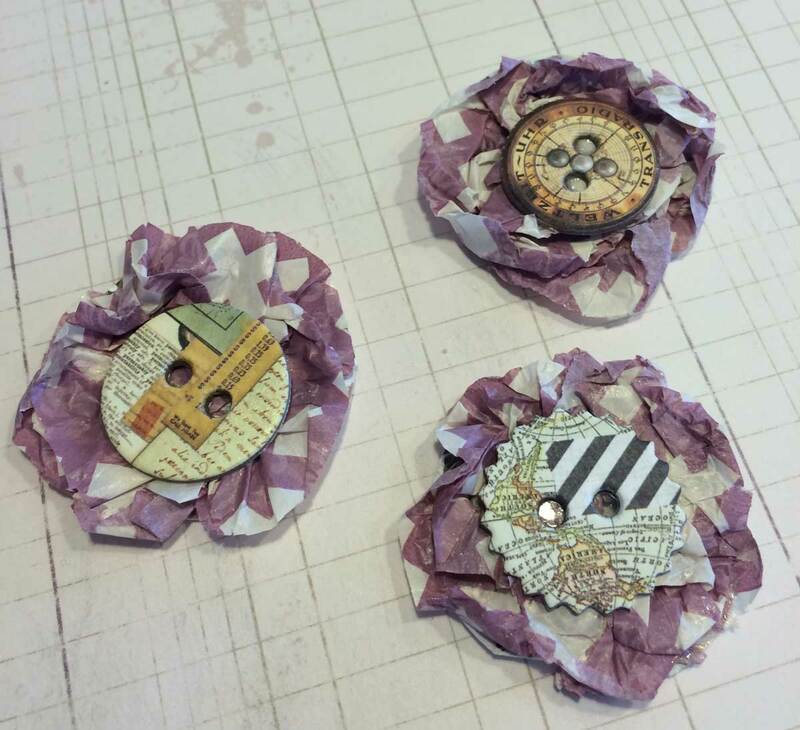 Making the shabby flowers were fun, but what else could I do? 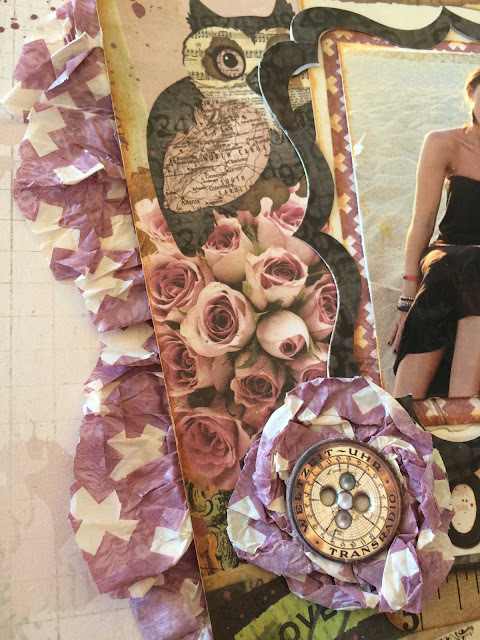 I cut another strip from the Decoupage Paper, scrunched it again and used it as a border behind the Journal Contents Cards I had chosen to use. You need such a small amount of the gel, a little goes a long way. It gave a nice ruffled effect that was just peeking out as an added layer... and OH.. it coordinated with the shabby flower too. Just another peek at the flower and the ruffle. The two extra flowers I made I used on the bicycle wheels as a little extra something. It gave the bottom of the layout added dimension. Now everything is adhered to the layout! Wait... there is something else you can do with the Transparent Gel... if you paint it on top of something, it gives added dimension and a bit of shine!! The basket of flowers on the bicycle was the perfect element to try it on. See the shine?? It's such a pretty look! You can use it to accent your patterned paper, die cuts, embellishments.. the possibilities are endless! I can't wait for my next project to see what else I can do with it. I liked the whole aspect of your project up until the extra gel on the flower basket . I felt it looked too jelly like for my taste. I would possibly have used half that amount of gel. Thanks for the tutorial. Stunning! Love the tissue paper! ohhhh that gel made that basket of flowers just jump out...3d like. Love it! 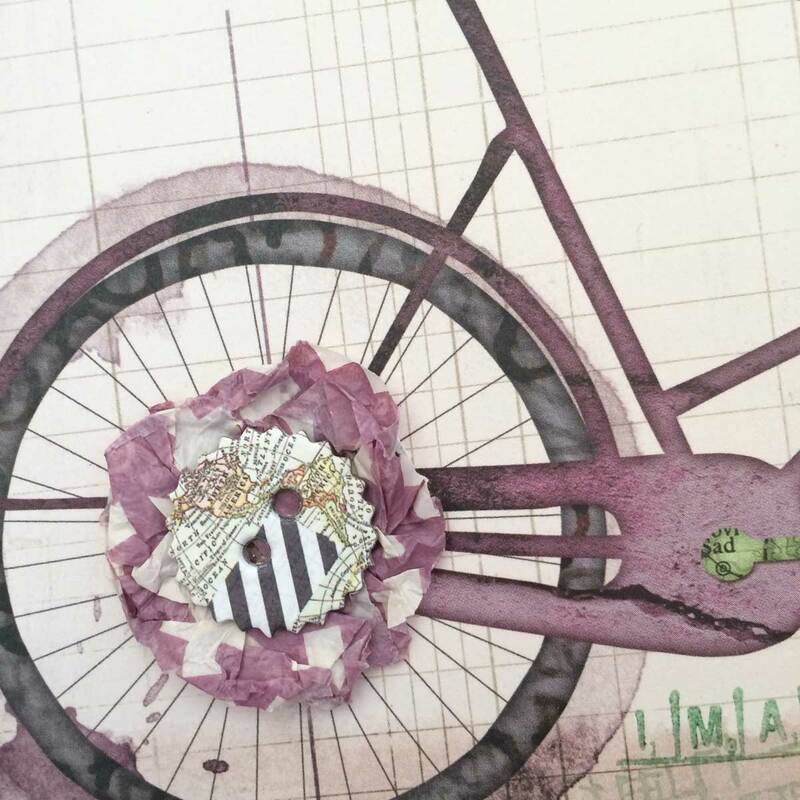 I love how you made the flowers morph into the bike wheels! Great job!